The Language Teaching Centre, LTC was established in 1996 specializing in language training. We are situated in the Cape Town City centre in close proximity to the International Convention Centre. Are you looking for english language schools in South Africa or a english summer school in South Africa? How about study english in South Africa or language courses for adults in South Africa? Whatever type of english course you are looking for, Languagebookings.com will help you find it—and at the lowest possible price! Browse over many English schools in many locations in South Africa until you find the english course and school that is right for you. We make it easy to find discount prices at the most popular schools in South Africa and we provide detailed school information, photos, videos and students reviews for a great variety of English schools in South Africa. Choose Languagebookings.com for all your courses reservations, and see why more and more students are choosing us to study english language in South Africa! When you choose to study abroad in South Africa, you will be exposed to the place that has the greatest cultural diversity in the world. South Africa is more than just the jungles and colorful tribes; this country is on its ways to progress and development. South Africa is inhabited by people who are fueled with the desire to make their country a better place to live in. That explains why this country has been the benchmark of rapid development these days. Students who study abroad in South Africa love the way that the country feels. Foreigners are welcomed warmly and treated as family by the natives. Cultural tours are also facilitated to help the students who study abroad in Africa to learn more about the rich heritage of the country. These cultural tours often drive along the famous towns of Nyanga, Gugulethu, Khayelitsha and Langa. Here, those who study abroad in South Africa will get the glimpse of how these people live and communicate. When you study abroad in South Africa, you will also open your eyes to the people’s indigenous creativity when it comes to weapon making and handicrafts. While you study abroad in Africa, you can also enjoy the simplicity of the country. You will feel connected with the lives of every other people whom you see and mingle with everyday. As you study abroad in South Africa, you are free to enjoy long and quiet walks after dinner, eat a meal at a town tavern, or if you want to, you can also have the experience to consult with the traditional healer called sangoma. While you study abroad in South Africa, you can enjoy the country’s most famous tourist spots. You can visit and refresh yourself in the exotic beaches that abound this place. Miles of unspoiled and clean beaches lay along the coast of the East to the north of the country. The best beaches in this country are the Garden Route and the South Coast of the KwaZulu Natal. Nature lovers who study abroad in South Africa will also love staying in this country. Since it is really famous for its wild jungles and adventure treks, you can experience South Africa’s most visited natural parks. 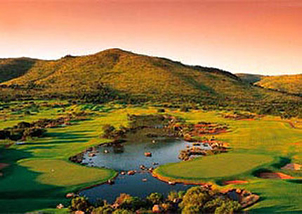 On top of the list is the Ukhahlamba Drakensberg Park followed by the Paul Kruger National Park, the Pilanesberg National Park and the Kgalagadi Transfrontier Park. Also, if you are fond of the city life, then you will not be lonely in South Africa. Be a part of the bustling cosmopolitan in Johannesburg and in Cape Town. A small village called Pilgrims Rest can also offer you a scenic view of the busy life in Mpumalanga. Another good destination worth visiting is the Franschhoek in Cape Winelands. South Africa is a place where the traditional way of living is effectively harmonized with the modern notion of existence. Study abroad in South Africa and have the key to understand the culture of this diverse country. 100% guaranteed, that you will pay the lowest price for English courses in South Africa. We offer you the lowest possible course rates - you never pay more than if you booked directly with the school itself or anywhere else. Besides, our service is free. We do not charge any booking fees. It's very unlikely that something will go wrong with your booking once confirmed by the English language schools in South Africa. In fact we're so confident, that if you don't have your course place at the selected school, we'll credit your account with your full deposit AND find another possible alternative for you.